This archive is a companion to Ping Chong + Company’s new theater work ALAXSXA | ALASKA. Each informs the other. 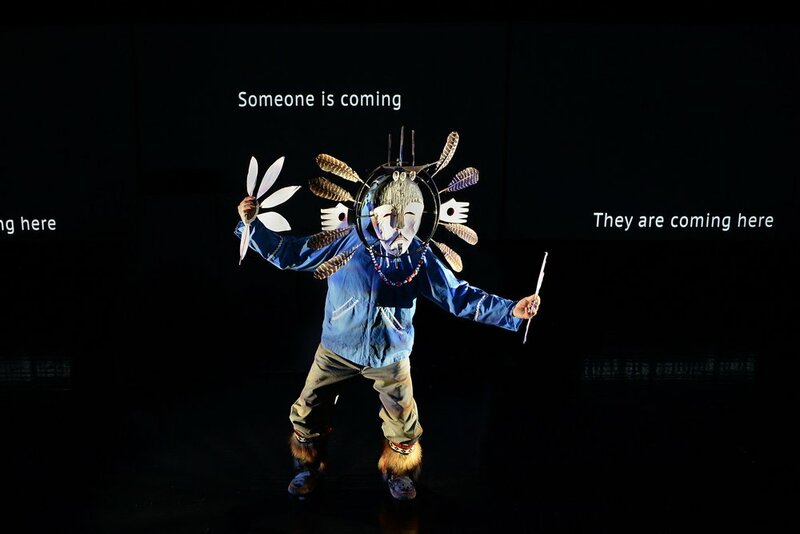 ALAXSXA | ALASKA is a collage of media, puppetry, storytelling, and Yup'ik drum and dance illuminating striking moments of Alaskan cross-cultural encounter, both personal and historical, created by Ping Chong, Ryan Conarro, Gary Upay'aq Beaver, and Justin Perkins. The creators visited numerous Alaska communities in 2015-16 and engaged in interviews with residents. Excerpts from these recorded dialogues appear in the sound design of ALAXSXA | ALASKA, offering a prismatic perspective on Alaskan experience. But the volume of powerful stories far exceeds what can be shared within the theater production. Led by Ryan Conarro, Ping Chong + Company created this website to feature the recorded stories of contemporary Alaskans in archival form. The website is a living document: the creators of ALAXSXA | ALASKA conduct post-performance interviews with audiences and community members, in order to include more and more stories online. Learn more about ALAXSXA | ALASKA here. Experience the audiences' own stories of encounter on the Conversations page. This project is supported in part by a grant from the Alaska Humanities Forum and the National Endowment for the Humanities, a federal agency. Any views, findings, conclusions or recommendations expressed in this website do not necessarily represent those of the National Endowment for the Humanities. Travel for the development of this project was supported in part by the Theater Communications Group Audience (R)Evolution Travel Grant and the NET/TEN Travel and Research Grant.